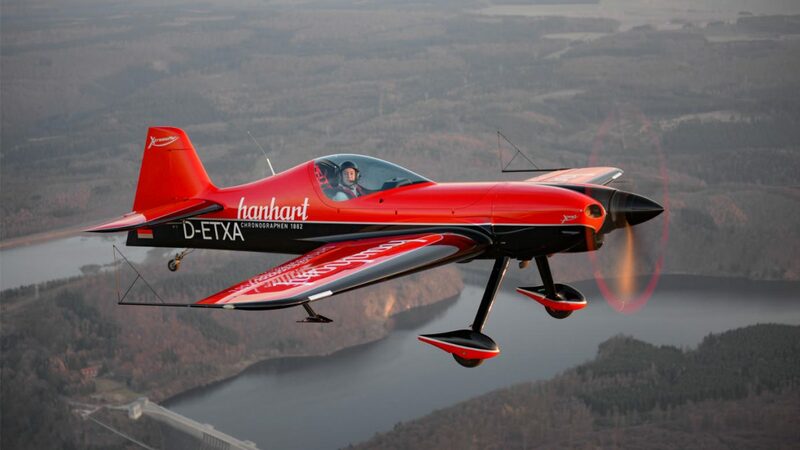 Hanhart aircraft won the Villeneuve Airshow in France! We congratulate Bastien LeRoux, the talented junior pilot for taking the first position at the Villeneuve Airshow! The aerobatics contest in the south-west of France took place on Monday, May 8 2017, marking the beginning of the French aerobatic flight season. This competition was also particularly important for Bastien and the other pilots to find out how they have improved themselves over the winter. This contest is also considered as an introduction to the French national championships, which will be held shortly in Niort (Western France). There, Bastien will compete with its XtremeAir XA42 engine from April 11 to 16. Depending on the result, he has the opportunity to join the French national team, which he unfortunately had missed last year due to a mechanical machine error. We keep our fingers crossed that he will succeed this year and that we will be able to cheer up Bastien at the European Championship in the Czech Republic at the beginning of August!